The nature of Elena Ferrante’s identity has generated much debate, but more interesting are her bold and uncompromising novels. 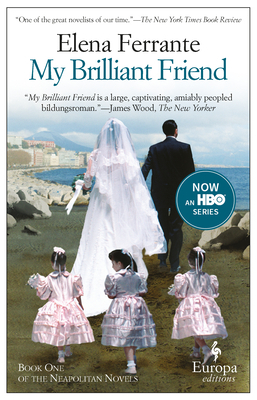 My Brilliant Friend is the first in her Neapolitan series, about the turbulent friendship between two intelligent girls born into poverty in Naples after WWII. For anyone who has ever felt like a sidekick, or been in awe of prodigious talent, this is a great book, full of truth. Book Culture on Columbus 2nd Brithday!